A woman has scammed at least four different people out of thousands of dollars in the past two years or so by renting them one particular address in Aspen’s West End, police said Friday. The woman — who tells prospective renters her name is “Shawn Sullivan” and that she’s the owner or property manager — appears to be legitimate and has clearly done some research on the property, said Aspen police Detective Ritchie Zah. The woman’s email corresponds to the name of the limited liability company listed as the owner in property records, he said. However, Sullivan, or “Sully,” as she sometimes identifies herself, is clearly not the owner, as at least one renter discovered when he got to town and found out he had nowhere to stay, Zah said. The most recent scam regarding the home at 220 W. Hallam St. was reported to Aspen police Jan. 6, Zah said. That person wanted to rent a luxury home in Aspen and found an ad on Craigslist for the five-bedroom, five-bath, 4,790-square-foot home, he said. He spoke with Sullivan on the phone, worked out details of the rental, then signed a rental agreement from RocketLawyer.com and sent two installments of $2,000 each, Zah said. Later, the person went back to the original ad to find out if the home had a pool table, found the ad had been deleted and discovered another in its place identifying the rental as a scam, he said. The man then contacted Aspen police. Zah said he also investigated another rental scam at the same address Dec. 31, 2015, as well as two other times prior to that date. At one point, Zah was able to track the scam back to an actual woman named Shawn Sullivan, he said. He obtained an arrest warrant signed by a judge for her, then found out she’d been in prison in Texas during the duration of the scam, Zah said. However, police were able to use the warrant to obtain emails associated with an address used by the person calling herself Sullivan, Zah said. Those emails indicated that she was initiating similar rental scams in other states, he said. Zah declined to provide further details of those scams or which states were targeted. 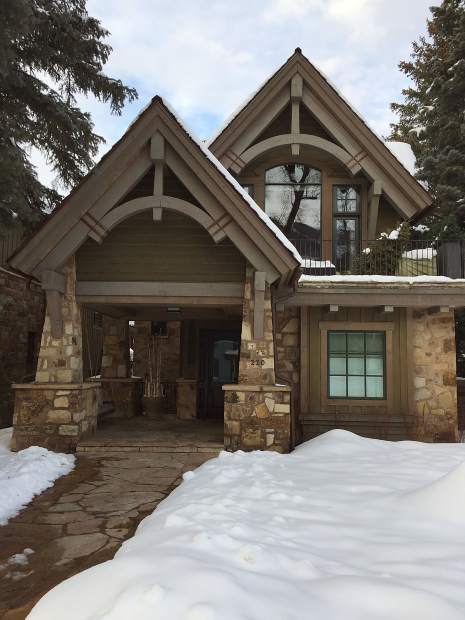 The Hallam Street home was built in 2007 and most recently sold for $6.3 million in September 2014, according to Pitkin County property records. It is registered to a limited liability company in Mexico, records indicate. A man who answered the door at the home Friday said he had heard about the scam but was not the owner. He declined to comment further. “There is a person or group of people fraudulently offering up a rental property in the Aspen area,” the ad states. “They appear to have done quite a bit of homework.